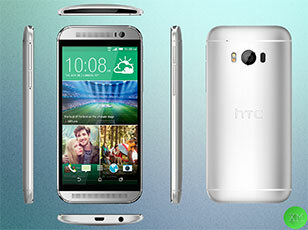 HTC has been pouring a lot of effort into making new 10 set to wage war with Samsung and Apple. Sticking with its all-mental design, the HTC 10 comes with 5-inch 1,920 x 1080 Super LCD 3 screen, awesome BoomSound speakers,the latest Android Lollipop, meaning that it is a can't-miss stuff for entertainment, whether for video movies music playback or playing games. But if you want to watch any videos movies on your shiny new devices without video compatibility issues, a HTC 10 video converter capable of encoding any video to HTC 10 effortlessly really matters. Convert Video to HTC 10 Fast with Zero Quality Loss, How? 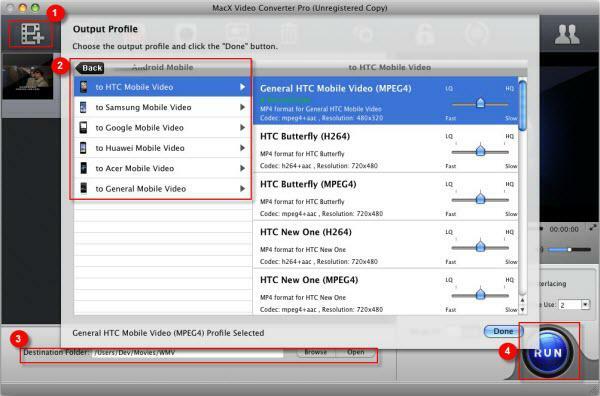 MacX Video Converter Pro designed to convert video to Android phone HTC 10 has been proved to be effective in video conversion. The smashing software integration with multi-core utility and advanced Intel QSV/Nvidia/AMD GPU hardware acceleration techs does fasten conversion speed, actually, 5X faster speed than any other rival. Well-built High Quality Engine, on the other hand, guarantees you amazing output video audio quality. Moreover, it works with almost any format and is able to convert among them - MKV to MP4, VOB to MP4, FLV to MOV, WMV to MP4, HEVC to H264, and so on and so forth. That said, it is a cinch to transcode MKV, MOV, FLV etc. video to HTC 10. Ease of use is also a plus. Just four steps are needed to encode video to HTC 10. Step 1: Free download the Android video converter and run it. Click "Add File" button to load the video file. Step 2: Choose the output video format supported by HTC 10. You can't go wrong with the general HTC mobile video format. Step 3: Click "Browse" button to choose output folder to save your converted video file for HTC 10. Step 4: Click "RUN" button to start video to HTC 10 conversion process. The task will be done quickly and original quality remains unchanged. Note: You can also use the HTC 10 video converter to edit videos, like cropping video frame size, merging video clips, adding subtitle and watermark. Video to HTC 10 conversion is not everything that the best-in-class video processing software is able to do. It is also a professional YouTube downloader that gives you opportunities to download and convert YouTube videos to HTC 10. With over 410 profiles for Apple and Android devices, it supports iPhone Xs/X/8/7/6s/Plus, iPad Air 2/Mini 4, Samsung Galaxy S9/Note 9, Huawei Mate 10 (Pro) and many more.